While the companies making semiconductors and printed circuit boards have kept their warranty expenses below one percent of revenue, the companies that make the machinery that actually manufactures the products pay much more. Even so, over the past decade the machinery makers have been much more successful at cutting their warranty expenses than their customers. In some industries such as automotive manufacturing, the OEMs have found it difficult to push warranty expenses back onto their suppliers. In others such as homebuilding, the suppliers and contractors can't avoid the warranty work their customers assign them. In the semiconductor industry, there's an even more curious effect at work, where the number of defects among the components is low because the machinery that makes them is so precisely managed. So the cost of warranty is much higher for the machinery makers than it is for the customers making the actual semiconductors. To reach this conclusion, we began with a list of 169 companies with a significant presence in the semiconductor and printed circuit board industry. And we split that list into 145 companies making the actual chips, boards, and devices, and 24 companies that make the specialized machinery that actually manufactures the devices. Top device makers, in terms of warranty, include Advanced Micro Devices Inc.; Honeywell International Inc.; Roper Industries Inc.; SunPower Corp.; and First Solar Inc. Top manufacturing equipment makers include Agilent Technologies Inc.; Applied Materials Inc.; Coherent Inc.; KLA-Tencor Corp.; and Lam Research Corp. 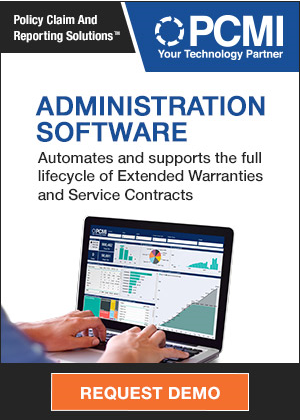 If the lists seem a bit incomplete, keep in mind that some of the industry's biggest players, including Intel Corp. and Texas Instruments Inc., don't report having any warranty expenses at all. Others such as Jabil Circuit Inc. once reported their warranty expenses, but unilaterally chose to stop doing so, contrary to U.S. accounting regulations. From time to time, there are periods in which companies such as Avago Technologies Ltd., ON Semiconductor Corp., and Plexus Corp. have reported paying no claims at all. But none of these companies has reported this phenomenon lasting for more than nine consecutive months. So those who haven't had any warranty expenses worth reporting to their investors for 12 years in a row should consider themselves lucky. In Figure 1, we've totaled up the annual claims payments of both groups, which despite their unequal number of members are roughly equivalent in the share of claims they pay. As we shall show, that's because the manufacturing equipment makers seem to pay claims at a much higher rate than their customers, the device makers. Total claims payments peaked in 2006 at $1.09 billion. Last year, the total hit a record low of $821 million. That was down about two percent from the 2013 totals, with the manufacturing equipment makers falling by more than their customers. In 2005 and again in 2012, the split between the two groups was almost equal. In the recessionary years of 2009 and 2010, sales of manufacturing equipment fell and so did their share of claims, to around a third of the total. Long-term, the average split in claims is 45%/55%, close to what we saw last year. Although in future weeks we will spotlight many of the solar energy companies in a separate report, we're including many of the top solar companies in this week's report because they are essentially manufacturing semiconductor devices that convert light into electricity using the photoelectric effect. In fact, several solar panel manufacturers, such as SunPower, are direct spin-offs from top semiconductor manufacturing companies. The reason we mention that is because one of the top claims total reductions we saw in 2014 came from First Solar, which cut its claims bill almost exactly in half, from $33.5 million in 2013 to $16.7 million last year. And that good news came two years after a big spike in claims in 2012, which suggests that the company has recovered from its warranty crisis. All the other warranty claims reductions were more modest. Coherent Inc. was down by about $5 million while Applied Materials reduced its claims payments by about 13%. On the flip side, two companies saw their claims bills more than double in size in 2014: Nvidia Corp. and SunPower. Nvidia was simply getting back to normal after paying extraordinarily large amounts of claims from 2009 to 2011 ($114 to $205 million per year) and extraordinarily small amounts of claims in 2013 (only $6.2 million). However, SunPower's 2014 claims totals was its highest ever, and that repair bill is consuming a more painful share of total revenue as well. The story with warranty accruals is only slightly different. The manufacturing equipment companies once again accounted for a little under half the total in most years, except for the recessionary years of 2008 to 2010, when there wasn't much demand for their machinery. The peak for both groups together once again came in 2006, though the device companies set their annual record in 2008. Total accruals actually grew slightly in 2014 for the second year in a row. So for accruals, at least, 2014 is not the year a new record low was set. In fact, 2014 was pretty middle of the pack, with the annual total for both the manufacturing equipment companies and the device manufacturers coming in as the fifth-smallest of the last 12 years. Or, if you prefer, it was the eighth-largest accrual total of the last 12 years, and the largest of the last three. Our inclusion of all the U.S.-based solar manufacturers has a more noticeable effect here, because they're typically making accruals for the long term, and paying a much smaller amount in claims for the short term. For instance, in 2014 First Solar set aside $41 million in accruals but paid only $17 million out in claims, while SunPower has in most years accrued four or even five times as much as it paid out in claims. That ratio changed last year, however, when its claims rose to $20 million and its accruals fell to $25 million. SunPower's massive increase in claims and reduction in accruals is puzzling, in that they don't normally go in opposite directions. But SunPower's changes were each among the largest in their peer group as well. Among all the large warranty providers in the semiconductor industry, this was both the biggest increase in claims (+144%) and the biggest cut in accruals (-38%). Others who reduced their accruals in 2014 include Coherent Inc.; KLA-Tencor Corp.; and Roper Industries Inc. In contrast to SunPower, Coherent's and KLA-Tencor's claims totals were also down, while Roper's was about the same. None of the large semiconductor companies made a massive increase in their accruals. However, there were a few medium-sized changes, including Lam Research (+$16 million); Applied Materials (+$12 million); and AMD (+$5 million). In contrast to the other warranty metrics, the balance in the semiconductor companies' warranty reserve funds continues to grow. Reserves hit a record $1.36 billion balance by the end of 2014, up by almost $55 million from 2013 levels. Reserves grew last year for both the device makers and the capital equipment makers, though the 2014 balance for the latter group was smaller than it was in eight of the previous 11 years. Again, the effect of the solar energy companies can be felt. With warranties lasting 10 to 25 years, a generally very young installed base, and very fast-growing sales volumes, their warranty reserve balances tend to be large and fast-growing. First Solar ended 2014 with $223 million it its reserve fund. SunPower had a balance of $155 million. That was equal to 6 to 14 times the amounts they were paying out in claims per year at the time. Five companies increased their warranty reserves by $10 million or more in 2014: Advanced Energy Industries Inc.; Agilent Technologies; Applied Materials; First Solar; and Lam Research. None reduced their balances by that amount. In relative terms, however, some of the balance reductions were quite large. For instance, Roper Industries took out more than a third of the $14.3 million it had on reserve at the end of 2013. KLA-Tencor and Sanmina Corp. each took out more than a sixth of their reserves. At the opposite extreme, both AMD and Teradyne boosted their reserves by more than 10% in 2014. Combined with and compared to sales totals, the annual totals for claims and accruals detailed in Figures 1 and 2 show a clear difference between the capital equipment and device makers. For the capital equipment makers, the very good news is that their once-high warranty expense rates have been cut in half over the past decade, while for the device makers the somewhat good news is that their warranty expense rates are on the low side of their historical averages. In Figure 4, we took the claims and accrual totals of the 24 capital equipment makers and divided them by corresponding product sales totals over the past 48 quarters. As can be seen clearly, the two rates back in early 2003 were on either side of three percent; now they're straddling the 1.5% mark. The spike in the 2009 claims rate is partly caused by the recession, which radically reduced sales (raising the percentage rate), and partly by the misfortunes of one of the largest members of this small group. In 2009, Applied Materials saw its claims rate rise from the typical range of two or three percent to a peak of 4.6%. But that anomaly lasted for only nine months, and now its claims rate is down to 1.5%, close to the entire group's average. Others that have seen their claims rate fall significantly in recent years include Veeco Instruments Inc. and Coherent Inc. Veeco also tops the list of those who have reduced their accrual rates recently, as does Coherent. And let's not leave out KLA-Tencor, which reduced its accrual rate from 2.9% at the end of 2013 to 2.0% at the end of 2014. The thing is, the averages for the capital equipment companies has always been higher than the averages for the device makers portrayed in Figure 5. Their average claims rates came within a few tenths of each other in early 2010, but they never met. The typical gap between the expense rates of the capital equipment companies in Figure 4 and the device makers in Figure 5 has remained at roughly 1.5% over the past 12 years. It's occasionally narrowed to slightly less than one percent and widened to just a bit over two percent. But it's always been there. It's as if the warranty expense of the industry has been shifted towards the production machinery and away from the devices they produce. The expense rates of the device makers stays below one percent because the capital equipment makes have been spending two to three times as much per dollar earned to keep their machinery in top shape. And despite the appearance of the 2008-2011 data in the chart below, this is not a very volatile industry, at least in terms of defects and warranty costs. In the Top 100 Warranty Providers newsletter published on March 12, only three companies from the semiconductor industry got any notice: AMD, Applied Materials, and KLA-Tencor. That means expense rates didn't change by much for the others from year to year. In Figure 5, we're calculating expense rates for the 145 device makers using the claims and accrual data from Figures 1 and 2 and the corresponding quarterly product sales totals. Admittedly, both the quarterly frequency and the elongated vertical scale make the data look more volatile than it really is. However, there's no escaping the fact that the prevailing trend is now once again upward, as it was from 2006 to 2009. Among the device makers, the three companies doing the best job of reducing their claims rates are First Solar, Nvidia, and Advanced Energy Industries. Those doing the best job of reducing their accrual rates include SunPower, Roper Industries, and again, Nvidia. Let's make a special mention of Nvidia. Back in 2008-2010, the company went through the nightmare scenario under which virtually all the graphics cards it made were turning out to be defective. Its accrual rate soared as high as 23.4%, meaning that the company was setting aside almost a quarter of its revenue to pay for warranty work. That was clearly unsustainable. By the end of 2014, Nvidia's accrual rate was down to a much more palatable 0.1%, and its claims rate was down to 0.2%. Or to put it another way, it paid out 15 times more in claims in 2010 than it did in 2014. Its warranty reserve has now shrunk to $7.2 million, after hitting a high of $205 million in 2008. No doubt, it's a huge comeback. And most importantly, it's still in business, contemplating a diversification into making chips for self-driving cars, after surviving one of the most expensive manufacturing excursions ever seen in the semiconductor industry. Who handles the warranty if a company goes out of business? Artificial turf warranties don't cover melting in the hot sun. AutoNation-branded vehicle service contracts are backed by the Warranty Group. Hidden warranties can help you with costly repairs. American Home Shield donates $50,000 to Operation Homefront for veterans. A.M. Best affirms financial strength rating of A for Old United Casualty Co.
Sidney, Ohio launches Service Line Warranty program. Chevrolet Malibu seat belt recall based on 36 warranty claims. Survey finds ethanol is a major factor in boat engine damage. Deuk Spine Institute offers surgery warranty program. PrimeTime Lighting lengthens its LED warranty from 2 to 5 years. AmTrust Financial Services to acquire Warranty Solutions from Wells Fargo. Lumber Liquidators pulls Chinese-made laminate flooring amid safety concerns. Former Best Buy CEO Brian Dunn becomes chairman of Upsie. McGraw Powersports selects PCMI's PCRS system for claims administration. Tesla sells certified preowned Model S cars online with 4-year warranties. Itron Inc. blames increased warranty expense for decreased gross margins. ReportLinker releases $7,998 study about extended warranties in eight countries. Tesla gives Powerwall Home Battery a 10-year warranty. New Leaf Service Contracts & Core Centric Solutions develop online parts order portal. Hurricane-proof impact windows crack, but that's not covered under warranty. Volvo Penta doubles the warranty on parts and accessories from 12 to 24 months. 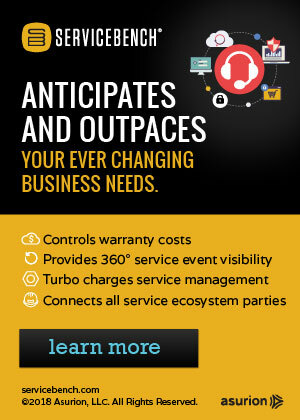 Warranty Ninja simplifies warranty registration process with new app. Biolase sees higher warranty expenses due to longer warranties. Carcraft collapses in the UK, used car warranties won't be honoured. AutoWurld to sell vehicle service contracts administered by Prime Auto Care. Iridium Communications sees higher net income and lower warranty costs. Fiat Chrysler says higher warranty costs hurt earnings growth. America's Preferred Home Warranty launches new real estate portal. Lack of visibility into warranty coverage can raise costs substantially. Warranty claims help Ford spot faulty door latches subject to recall. What does the Apple Watch warranty cover? Seagate Technology may sell extended warranties in Korea, a source says. Louisiana AG offers tips to consumers buying solar panels. Michigan agency's audit response promises road & bridge warranty improvements. Assurant wins two Communitas Awards for community service and social responsibility. Meet Elon Musk, the P.T. Barnum of the auto industry. ServicePower announces new ServiceOperations contract with Permaplate Inc.
Invacare says decreased warranty expenses helped cut quarterly losses. First American sees lower claims and strong margins in its home warranty business. Fiat Chrysler Automobiles announces supplier of the year award recipients. Hank Greenberg attends court for closing arguments in AIG bailout trial. American Home Shield says claim delay was caused by improper signature on tax form. Vehicle manufacturers see software as licensed, not sold, which limits tinkering. Automotive companies must embrace big data to understand how people use their products. Huawei to provide U.S. mobile phone customers with 2-year warranties. Philippines Supreme Court voids Smartmatic-TIM extended warranty contract. Jet Aviation Singapore approved as warranty repair facility for Gulfstream G650. AmTrust Financial Services hits a new 52-week high of $60.70 per share. Four tips to keep in mind when signing up for an extended warranty. Mattress tag may be necessary for the warranty to stay intact, Angie's List says. Proposal calls for warranties on big road projects in Michigan. American Water and Orlando Utilities Commission launch home warranty program. Three important questions a retailer should ask a potential warranty partner. Warranty processing fees might seem shady, but they're legal. A.M. Best downgrades Fortegra's financial strength ratings from A- to B++. SquareTrade says Galaxy S6 is the least breakable among top smartphones. Honda best and Porsche & Bentley worst in What Car? reliability tests. Frost & Sullivan publishes retail product protection plan study. Jaguar Land Rover hires SEKO Logistics to automate warranty parts returns. GWSCA plans April 22 webinar on the competitive advantage warranty can provide. Stout Risius Ross Automotive Warranty & Recall Report now available for download.